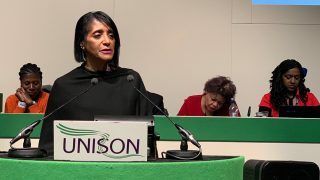 It was a huge pleasure to address UNISON Black Members Conference in Llandudno today. It’s always an honour to address hundreds of Black public service workers, passionate trade unionists who do so much for our union, their communities and our country. 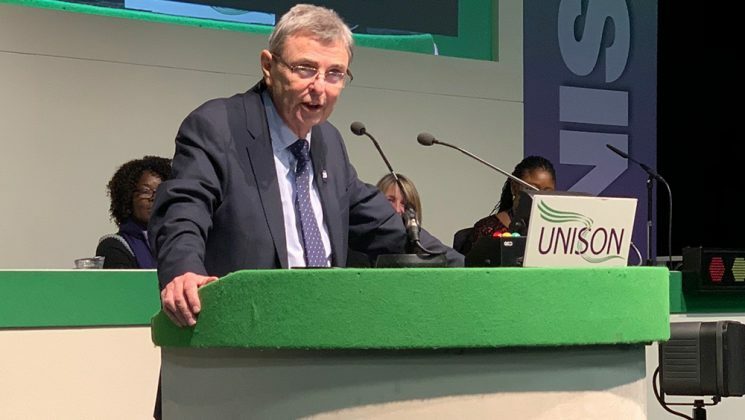 As I told delegates today, this conference is one of the most important and special events for our union – and embodies what is great about UNISON. The self-organisation of public service workers, from all walks of life, united by a passion to make our union and our world a better place. 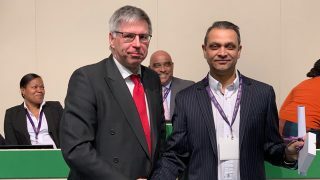 I am proud that UNISON is not only the biggest union in the country, but it also runs the biggest conference by and for Black workers in the UK every year. 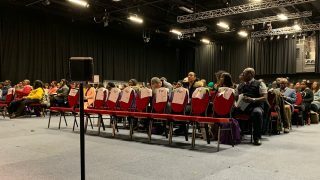 This year’s conference is especially important, because of the climate in which it’s taking place. The aftermath of the Brexit vote has undoubtedly emboldened those who hold racist views. The Windrush scandal has shown that this callous government is willing to trample over the rights of those who have lived here for decades. 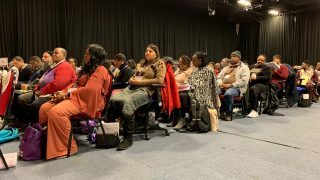 And recent reports echo the lived experiences of UNISON members – that systemic racism is a massive problem within public services and wider society, denying Black workers the jobs, wages and opportunities they deserve. It’s a difficult and worrying time for anyone who cares about the equality and fights injustice. Sometimes battling against bigotry, racism and xenophobia can feel like an impossible task. But I know that this is a fight we can and will win. Just as we took on Oswald Mosley’s Blackshirts, we can and will take on the street fascists of the 21st century. Just as we took on Enoch Powell and his rivers of blood, we will fight today’s hate-mongers and anyone who seeks to divide our communities with racist rhetoric. Our movement will take them on, prove them wrong and continue to fight and against hatred and fear. 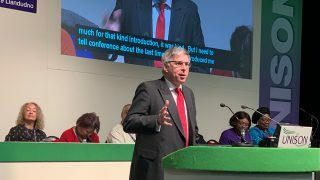 And I know the hundreds of UNISON members at today’s conference won’t just be part of that fight, they’ll be leading it. And as I promised them today – I’ll always be standing shoulder to shoulder with them, every step of the way.